I Want Me Some Spinelli Art! Okay, so here is the deal. 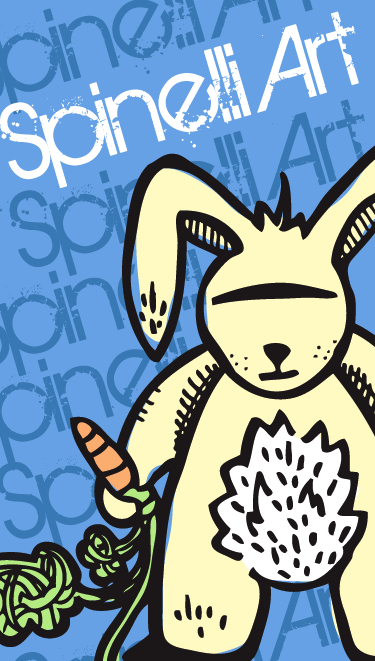 Spinelli Art is a brand developed by artist, Emelina Spinelli. The brand represents paintings, illustrations, website design, graphic artistry and forward thinking. If you are looking for a website, business cards or logo to set you apart and demand attention, Spinelli can paint your desires on the digital canvas. Spinelli Art now has a blog to keep everyone informed, uninformed and somewhat aware of new artistic progress, styles and shaping of the Spinelli Art brand. Additionally we will be showcasing fun links to art related websites, movies and articles to jumpstart creative thinking. Follow the Spinelli Art blog AND Experience the Art of Creative Expression! Don’t forget to check the always updating Spinelli Art online shop!